Springs are the most vital part of garage door, you must pay attention to the springs properly. Your garage door operates with so much ease just because of these springs. Springs demand proper attention and maintenance. Ignoring the springs of your door means you are inviting danger. 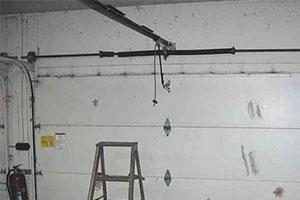 Torsion Springs – These are fitted above the congested garage door. Extension Springs – These are fitted at the upper track on the either sides. Why is It Necessary to Replace Garage Door Springs? Springs act as a backbone of garage doors. So, they demand proper attention and timely inspection. Proper maintenance and repair is essential to eliminate any kind of major or minor danger. If needed, springs should be replaced as these are more prone to get break easily. To prevent any danger it is imperative to replace broken springs by an expert technician. We provide wide range of garage door springs repair and replacment services at reasonable rates. Our price suits our client’s budget. To get spring installed from any other firm can create a hole in your pocket but not when you choose Dubai garage door services to get this job done . Our skilled and proficient technicians offer proper guidance regarding garage door issues. For instance, we always suggest our clients to choose door material according to the climate, and to choose type of springs in accordance with the door weight. Our technicians have proper tools and knowledge helping them completing the spring installation task in less time. We offer many designs of the door matching your home exteriors and perosnal taste. Why To Count on Dubai Garage Door services ? However, there are many companies who render garage door services. But still the residents of Dubai choose us as we provide extensive range of designs and varieties of doors. Our prices are economical which suits our client’s budget. Our proficient and experienced technicians have determinative role in gaining success. So, to get instant and excellent service just make a call.